Thank for clicking on our web page. 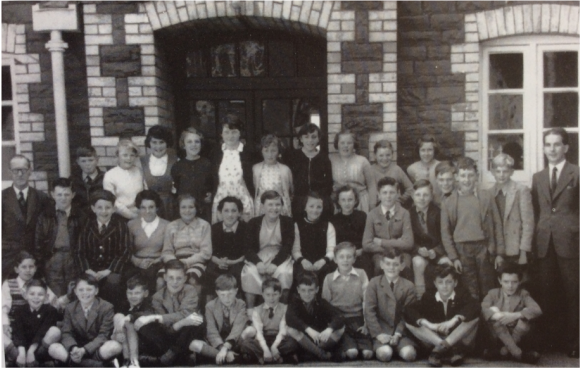 This page is all about Clydach Primary's Junior Department, which was once known as Twyn y Bedw Primary and was opened in 1894. By 1893 the existing schools were bursting at the seems, as in 1879, attendance became compulsory for children aged 5-13, so lots of important people decided that a reorganisation was needed. Girls and infants were housed in Lower Twyn-Y-Bedw Road School and boys at Saint John's. The Lower Twyn-Y-Bedw School was then made bigger and a committee was formed to establish a new school in Clydach. Upper Twyn-Y-Bedw Road Boys' school (with was later turned into Clydach Junior School) was opened in 1894. The whole total bill was £1,407. The first headteacher was George Gordon. There have been lots of changes since 1894. In 1926 a new boys' school was made on Gellionen Road, known as the Ty Twyn Site. The boys moved out of the Upper Twyn-Y-Bedw School and moved to the boys school. Twyn-Y-Bedw school then became a girls' school. In 1937 Gellionen Road School became a mixed senior school and Upper Twyn-Y-Bedw school became Clydach Junior Mixed School. So now we come to 2013, the school has joined with the infants, and is named Clydach Primary school. Click here to play a game based on our school.